GiftCertificates.com™ is a leading e-commerce provider of innovative reward solutions and gift products for both the corporate and consumer markets. It is because of their reward solutions targeting to both corporate and consumer markets that made the redesign of this marketing site a challenge. As a team at LSS, we worked with the GiftCertificates’ team to create a balanced site that accurately spoke to both audiences. We conducted a series of UX interviews with the GC team, capturing the feedback they wanted to incorporate within the site’s new design. 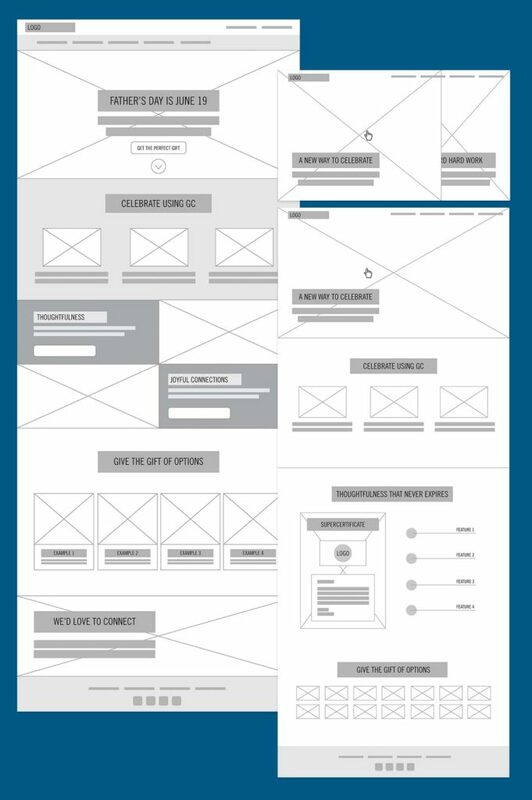 With that information, I started with creating wireframe mockups of layouts that would work within their target. GC chose a combination of my wireframes and from there we went into building out designs – going through multiple iterations. To see the final result, please visit www.gcincentives.com.